Testosterone replacement therapy (TRT) is a medical treatment that replaces lost testosterone hormone that depletes from the body as a person ages. Male patients use injectable, bio-identical medication that is 100 percent pure and authentic for treatment. It must be prescribed by a doctor. Although most see testosterone as uniquely a male hormone, both men and women can benefit from testosterone therapy. The fact is that in order to operate at optimal health, both men and women need enough testosterone running through their systems. They just need different amounts; women needing a lot less than men. Testosterone therapy for women is quite common. Women will not use injections; however, but they will be prescribed a cream instead. Men will only use intramuscular injections for their therapy. Dosages must be carefully considered for both men and women and that is why testing is mandatory before treatment can begin. Testosterone replacement therapy has been becoming increasingly more popular as a safe way to replace lost hormones that deplete. It is popular for both men and women. Testing will consist of getting a blood sample taken at a local clinic in the patient’s home town. Our advisors will set this appointment up for each patient. It is simple and easy to get done. The blood test will tell the doctor whether or not the patient is dealing with low testosterone levels, also called low T. A client will also need to get a physical exam done to find out more about their health, past and current. Finally, there is a medical history form that completes the patient’s responsibilities for this portion of the testosterone therapy for men and women process. What is testosterone therapy? By simply replacing the lost testosterone in the body by using the correct medication at the most accurate dosage, a patient will gain back the quality of life that they lost when their hormones depleted. The body will almost always accept the injections of testosterone that are delivered through the muscle because the medication is an exact replica of what the body already produces. Therefore, it does not see the solution being injected as a foreign substance. The only issues that may come up can stem from an allergic reaction to the medication or an incorrect dosage being taken. Occasionally, we help people who have used tainted medications from unknown sources. We reversed the negative side effects from that experience and started them on a medically supervised treatment plan. Along with taking injections for therapy, patients are always advised to change bad habits into good ones. This will allow them to live a healthy lifestyle which helps with the natural production of testosterone from the testicles in men and from the ovaries in women. Follow the above listed healthy suggestions and you will see a difference in the way you look and feel. When combined with the best testosterone replacement therapy, you will love your results. Different people will get different benefits from the best testosterone therapy. Benefits will all depend upon the person’s symptoms, their body size, their body chemistry and other factors. 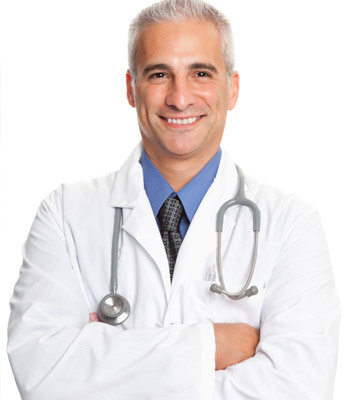 We hope that we have helped you learn what is the best testosterone replacement therapy. Now we would love to share with you a step by step guide on how to get a prescription for testosterone injections. We remind you that partaking in TRT is not safe or legal without a prescription from a licensed doctor who practices this kind of medicine. How can you get this prescription? Call our toll free phone number (found right here on this page). You will speak with an expert clinical advisor. This person will be a fully trained specialist in testosterone therapy. He or she will be able to tell you exactly what is testosterone and all about replacement therapy. You can feel free to ask any questions you have and to share all of your health information with the advisor. In fact, the more you share and the more open you are with the expert, the better he or she can help you. Everything you tell our staff will remain completely confidential. You and you advisor will decide together whether or not you believe it is best to continue onto the next step to starting testosterone replacement therapy. At times, an advisor can tell that a person will not be able to commit to the financial investment in therapy or to the time and dedication that it takes. At times, a prospective patient may be too young (under 30) or not have enough of the symptoms that will hint that he or she is dealing with a testosterone deficiency. Sometimes people are just looking to get injections to improve their physical physique with more muscles or to improve their sexual drive and performance, but this will not allow them to participate in testosterone therapy with us. The next mandatory step is testing. A prospective patient will get a physical exam completed. They will also get vital blood work done. Their other responsibility at this phase is to fill out a medical history form as completely and honestly as they can. All information obtained from the testing clinic and the online form will be sent to our doctors. They will analyze the information and determine if a diagnosis of low T is warranted or not. If it is, they can write a testosterone hormone replacement therapy prescription and an individualized, tailor made treatment plan for the patient.